How far do you service? Do I have to travel to you to get stuff fixed? What do I need to do to drop off my rugs? Most importantly fill in the online Service Request Form. Make sure your rugs are clean enough to repair (unless we are washing them for you), put them in chaff or garbage bags, and attach the form securely to the outside of the bag. What are your drop off / pick up locations? Do rugs have to be cleaned before repairing them? Yes they do. Dirty rugs drop dirt into the mechanics of the sewing machine, causing damage. And it’s never nice to open a rug and have manure fall out everywhere. Give them a brush off with a broom, or a hose down or we can wash them for you before they are repaired. Do you repair other stuff other than horse rugs? This will vary of course, but most rug repairs cost between $15 and $40. 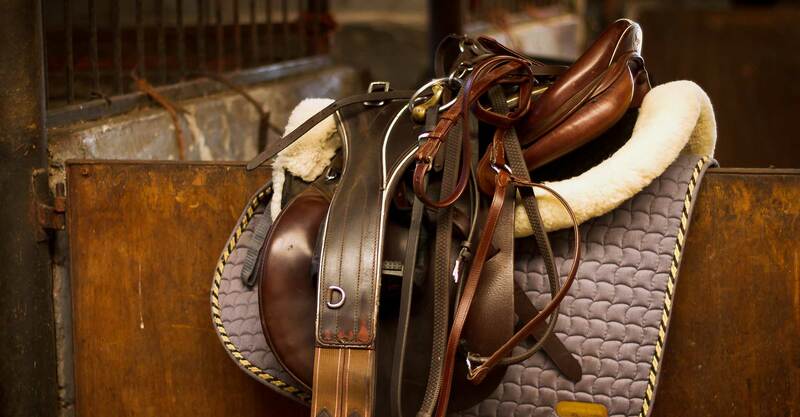 Why do horses rip new rugs? Often when we get a new rug, the straps are too long, which is one of the main causes of rips. Make sure all straps are short enough to not get caught in anything, but still allow your horse to move. Is my rug even worth repairing? Sometimes you may wonder if it is worth repairing your rug. One or two large rips may look bad, but can be fairly easy to repair. Take into account the cost to replace your rug, how strong the fabric is and whether the straps and clips are still good.